Shop WeDNA - All proceeds are donated! 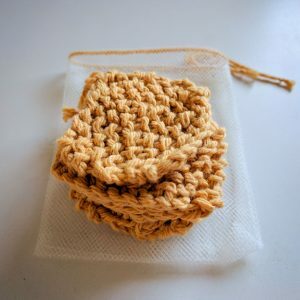 These face scrubbies are handmade out of soft yellow cotton yarn. They are the perfect reusable replacement for disposable cotton balls for makeup or toner application. They are also great for washing your face or removing makeup. When they are dirty, just toss them in the accompanying mesh laundry bag, wash them, and then use them again! Machine washable, either lay flat to dry or machine dry. 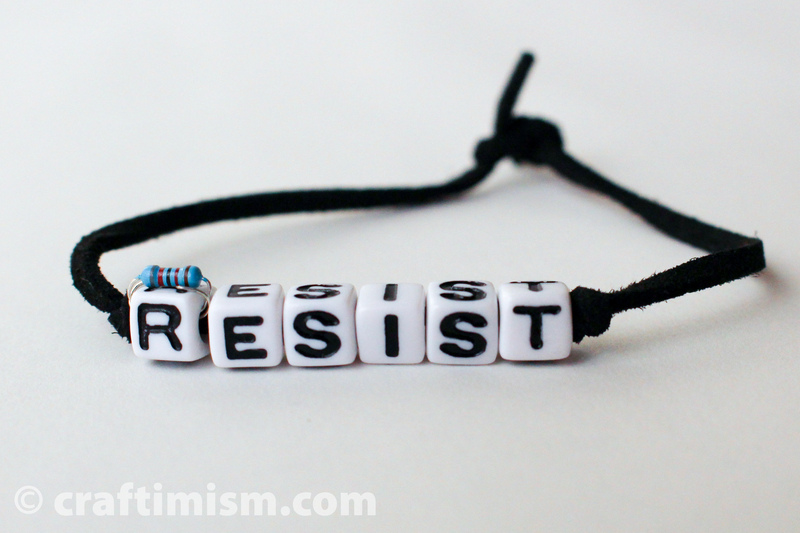 These are made to order and may vary slightly from the picture. 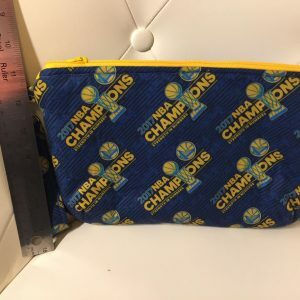 One order comes with 7 face scrubbers and one mesh drawstring laundry bag. Each face scrubber is ~2 square inches. 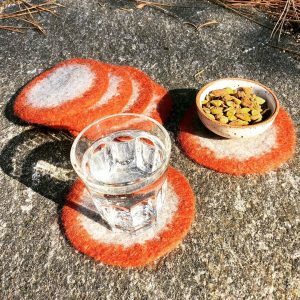 Felted coasters to keep your table wine-stain free, and that add a little style to your house. This order is for four coasters. This is a made to order item. 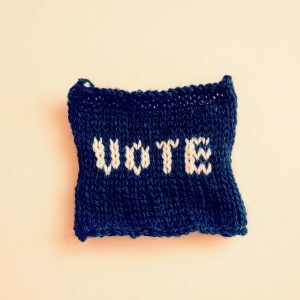 After you buy the item, I’ll email you the color selection, and it’ll take 4-6 weeks for the yarn to arrive and for me to finish your custom made coasters. 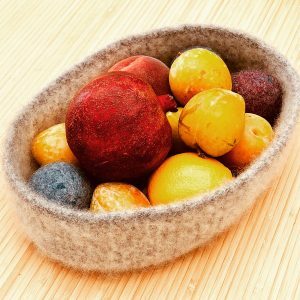 This is a great crocheted and felted fruit bowl that can lend some hand-crafted personality to your kitchen. 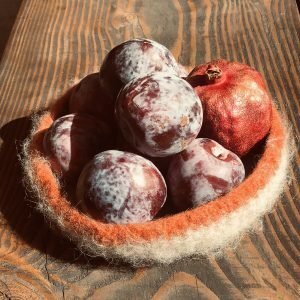 The fruit basked pictured is currently available and can be shipped within a few days of your order. 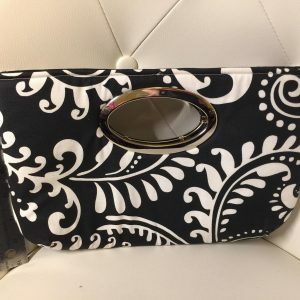 Contact the vendor for specific requests or a custom order. 100% virgin wool. 11” diameter. 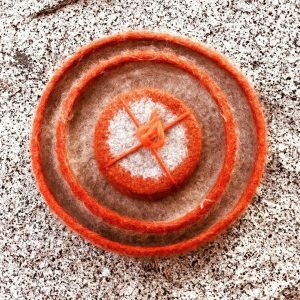 100% virgin wool. 8” diameter. 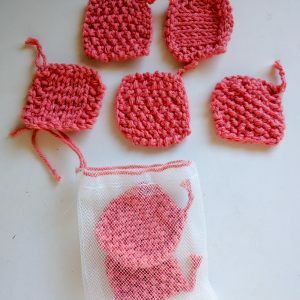 These face scrubbies are handmade out of soft pink-ish/coral cotton yarn. They are the perfect reusable replacement for disposable cotton balls for makeup or toner application. They are also great for washing your face or removing makeup. When they are dirty, just toss them in the accompanying mesh laundry bag, wash them, and then use them again! These are made to order and may vary slightly from the picture. 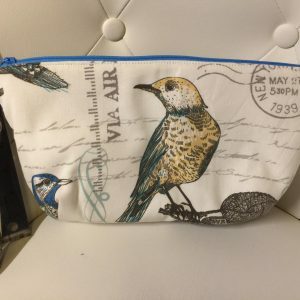 One order comes with 7 face scrubbers and one mesh drawstring laundry bag. Each face scrubbie is ~2 inch square. 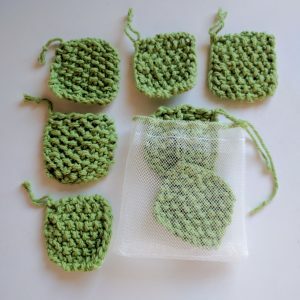 These face scrubbies are handmade out of soft green cotton yarn. They are the perfect reusable replacement for disposable cotton balls for makeup or toner application. They are also great for washing your face or removing makeup. When they are dirty, just toss them in the accompanying mesh laundry bag, wash them, and then use them again! These are made to order and may vary slightly from the picture. One order comes with 7 face scrubbers and one mesh drawstring laundry bag. Each face scrubber is ~2 inch square. 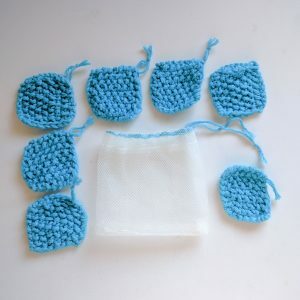 These face scrubbies are handmade out of soft blue cotton yarn. They are the perfect reusable replacement for disposable cotton balls for makeup or toner application. They are also great for washing your face or removing makeup. When they are dirty, just toss them in the accompanying mesh laundry bag, wash them, and then use them again!